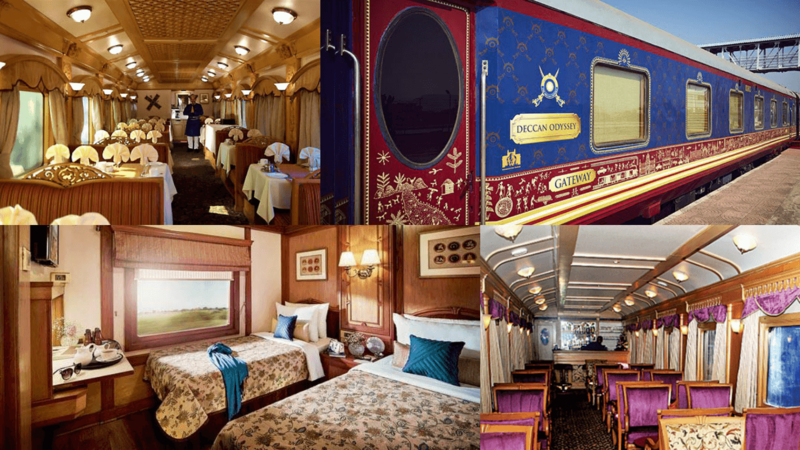 Every year, thousands of Indian and foreign travelers plan an exclusive vacation with the Blue Train; Deccan Odyssey. Interestingly, the train gets its nickname as the blue limo because of its iconic exterior color. You would be familiar with the features, amenities, itineraries and the style of vacation with Deccan Odyssey. This article, however, talks about a new view in regards to your vacation. 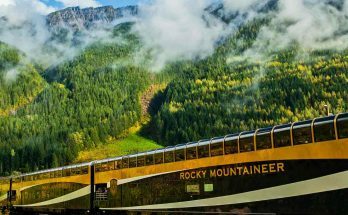 Here are the top ten reasons to why you should choose this train for an exclusive trip through the country. The train holds many iconic destinations in its itineraries. On the other hand, the train also focuses on rare gems of India like Hampi, Sasan Gir, Rann of Kutch and others. With six different itineraries, you can enjoy many unique and interesting destinations with Deccan Odyssey. While the other luxury trains cover only name-sake destinations, Deccan Odyssey chooses unique destinations to give a different feel. So, even if you have traveled in luxury trains many times in India, you first time with Deccan Odyssey would feel different. 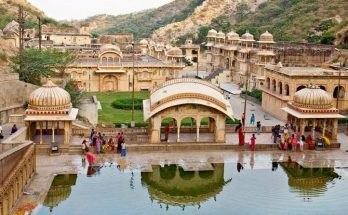 Indian Odyssey itinerary covers classic and rare destinations like Ranthambore National Park, Agra, Jaipur, Udaipur, Vadodara and Aurangabad. Hidden Treasures of Gujarat focuses on many rare and less-traveled destinations like Vadodara, Palitana, Sasan Gir, Little Rann of Kutch, Modhera, Patan and Nashik. Indian Sojourn covers classic destinations like Vadodara, Udaipur, Jodhpur, Agra, Ranthambore and Jaipur. 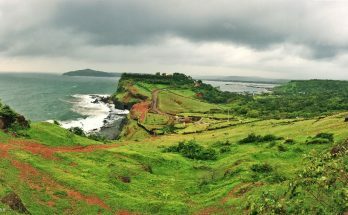 Maharashtra Splendor itinerary covers important destinations of Mumbai and surrounding attractions. Destinations covered are Nashik, Ellora caves, Ajanta Caves, Kolhapur, Goa and Ratnagiri. Jewels of Deccan focuses on destinations in the Deccan Plateau. The itinerary covers Bijapur, Aihole, Pattadakal, Hampi, Hyderabad, Aurangabad and Ajanta caves. For wildlife lovers, the Maharashtra wild Trail, the train covers Aurangabad, Pench, Tadoba, Ajanta caves and Nashik. Not all tourists look forward for a life-changing experience, trying to live like the local during vacation. Many tourists like to stick with their standard of living. Deccan Odyssey understands this element of your vacation. Starting from a glass of smooth wine as welcome drink to every classic Deccan Odyssey train amenity, this train focuses on providing every top level comfort, in the international style. You can relax in the spa, enjoy an international cuisine, relax in the sublime cabin and chill at the lounge with your favorite brand of liquor. Thus, you can enjoy the culture and nature of India, without stepping out of your comfort bubble, throughout your vacation. Unlike other trains, Deccan Odyssey’s tariff includes every amenity and feature of the train. For instance, luxury trains of India usually mention that meals are included in the tariff. However, soft drinks and liquors are not covered by the tariff and tourists have to pay by the end of the trip or in daily basis for these elements. When it comes to Deccan Odyssey, the train’s tariff covers everything inside the train. You need not worry about arranging anything for your travel, during the span. For more details, read the pricing policy page of the train’s official site. Every factor of the tariff is transparent. There is no hidden cost, which would add up the cost of the vacation. This is an Indian spiritual phrase. It means, Guest Is God. This practice is followed by every religion, caste and creed of India. Every Indian is taught to treat his guest with the highest honor and specialty that he could provide. Deccan Odyssey focuses on this teaching too. The train has the hospitality, which is meant for royals. Every need of the guest is satisfied during the ride. Do you have a unique requirement? Mention it upfront, while booking your tickets. This will give the authorities ample amount of time to arrange things for you. Starting from English-fluent employees to specialty chefs, your every need is satisfied with a specialist. Beauty in the eyes is beauty in the mind. When something around you is beautiful, it will make you feel special and happy. This is one of the greatest advantages of Deccan Odyssey. The train gets its inspiration from the royal carriages used by the royals of India. However, the train has managed to add as much technological factor as possible to it. The decor makes you feel like a royal heir on vacation. Not just your cabin. Every inch of the train is a representation of royalty, which is the main aim of the train. As mentioned before, the amenities present in the train is the main advantage of Deccan Odyssey. If physics allow a feature to be possible on a moving train, Deccan Odyssey will have it covered. Starting from library to shower, you can experience all modern facilities, which you would expect in a grand seven-star rated hotel. 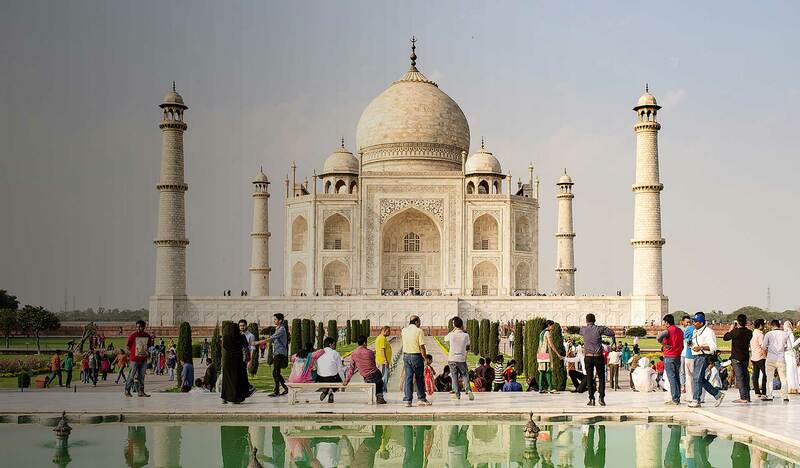 When it comes to experiencing India, culture and cuisine are two main elements, which tourists sometime overlook. If you are choosing a star hotel, they try to showcase their international style by providing global cuisine. However, at Deccan Odyssey, they know that tradition is what that makes the country special. This is the reason to why Deccan Odyssey chooses to serve the local cuisine, always. You can find the menu, in coherent with the destination. 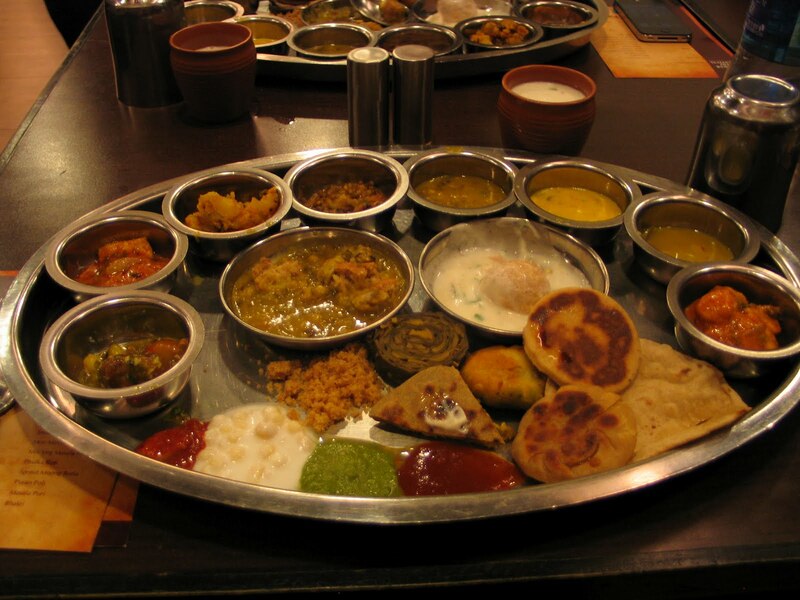 If you were in Gujarat, you would be served the local cuisine of the land. If an ingredient is especially available in Bangalore, the menu will accommodate that particular dish, during the day of the destination, with fresh ingredient procured at each destination. Are you looking for just monuments? Then, a simple tour package might satisfy you. Are you planning to enjoy every element of the country starting from culture, tradition, attire, customs, monuments, religion, anecdote and others? Well, Deccan Odyssey’s itinerary will help you understand that the trip is not just about iconic monuments and architectural beauty. 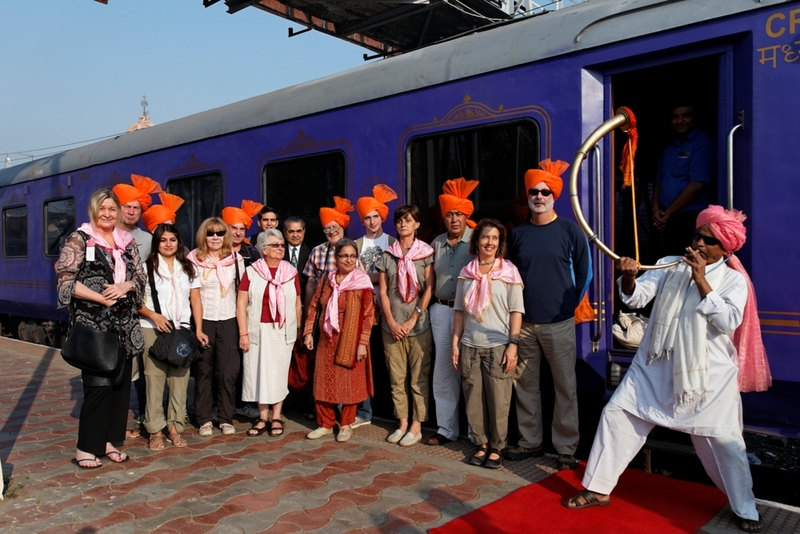 Starting from cave exploration to vineyard visit, the train trip covers every aspect of India, in a neat way. The trip is not just a bunch of destinations clubbed together, every day. Each destination is added to create a value to your day. How to create value without information? Every travelling group is assigned with an English-speaking guide. If desired, you can request for special guides with unique language knowledge. These guides will help you learn about the destination, monuments, history, interesting anecdotes and much more. Moreover, these guides will make the local sightseeing experience, richer and easier. When it comes to luxury, most of the tour operators think that luxury is keeping tourists inside a bubble of pampering, far away from the local life. In fact, it is the exact opposite. An activity or day is considered luxurious only when the experience gained is unmatched. To have such an experience, the culture of the land is very essential. India is famous not just for its monuments and nature; but, also for its unique traditions, rituals and other elements of the colorful culture. Taking a closer look to the daily lives of the destination would add more beauty to your destination. In addition, Deccan Odyssey helps you to enjoy it with live cultural programs, village safari, shopping and many others. Are you looking for a culture-infused entertaining and pampering vacation? You ought to choose Deccan Odyssey. These are just a few drops of reasons from a large reservoir of explanation to why choosing Deccan Odyssey will help you enjoy a regret-less vacation in India.